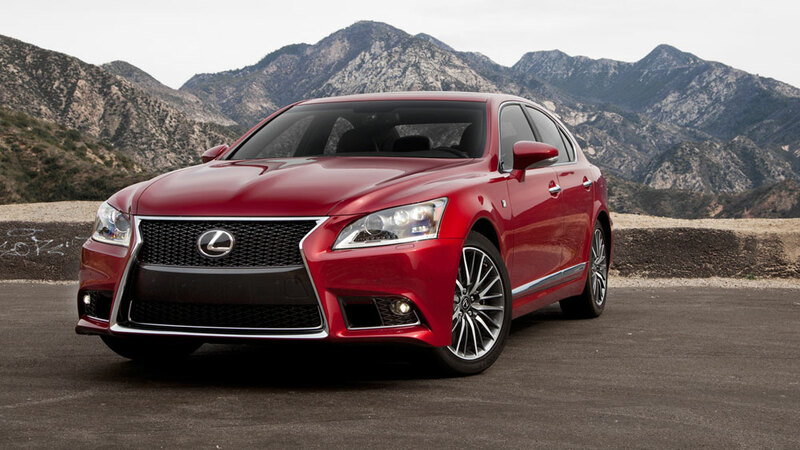 Motor Trend has a review of the 2015 Lexus LS 460 and LS 460 F SPORT, and despite the insistence on performance testing, it’s mostly positive for a flagship sedan in its twilight years. The eight-cylinder BMW, Audi, and Jaguar all start at nearly or just over $90,000, which makes the $73,445-to-start Lexus LS a value option, even though the Hyundai Equus and Kia K900 are even cheaper. And no, we haven’t forgotten about the class-dominating Mercedes-Benz S-Class, a long-wheelbase-only sedan that starts in the mid-$90,000 range. Almost no one test-driving an LS 460 is going to stab the throttle and say, “This car needs 70 hp more,” but reasons for buying a full-size luxury sedan aren’t always rational, are they? For comparison, we’ve track-tested a 2015 Kia K900 V-8 at 5.5-5.6 seconds, a turbo six-powered 2011 BMW 740i at 5.5 seconds (the 2015 model has an eight-speed auto instead of that car’s six-speed unit), and a supercharged six-cylinder 2013 Audi A8 L at 5.3 seconds. Considering the LS is powered by a nine-year-old engine, being outperformed is hardly surprising, but the times from the Audi & BMW forced-induction non-V8 options are impressive.